Playa Fantastica – for their unique version of black paella filled to the brim with both fish and shellfish and for the chic shack open-air restaurant loved by many locals. Get there early and snag one of the shaded loungers and have your lunch right on the sand. 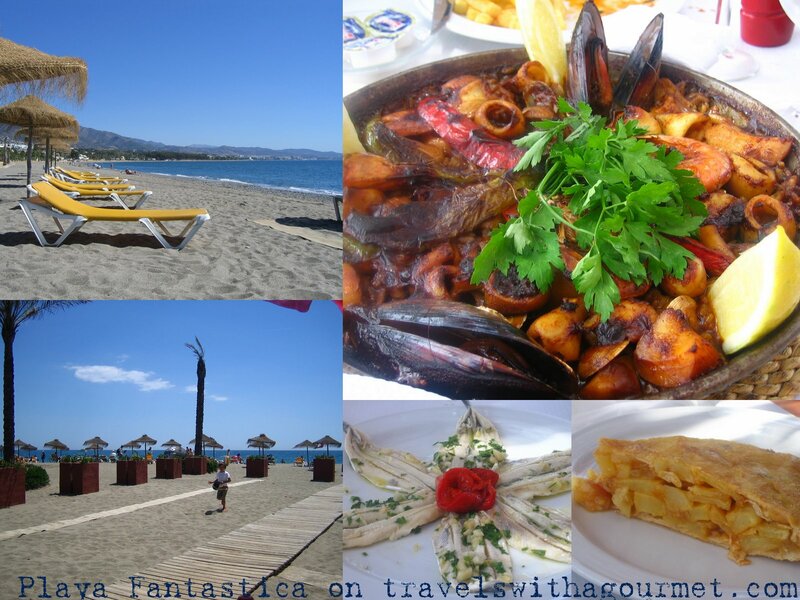 Mistral Beach – for their convenient location in Puerto Banus an the large selection of grilled fish and shellfish (including lobster) on their menu. Tables set up either on the wooden deck or right in the sand. 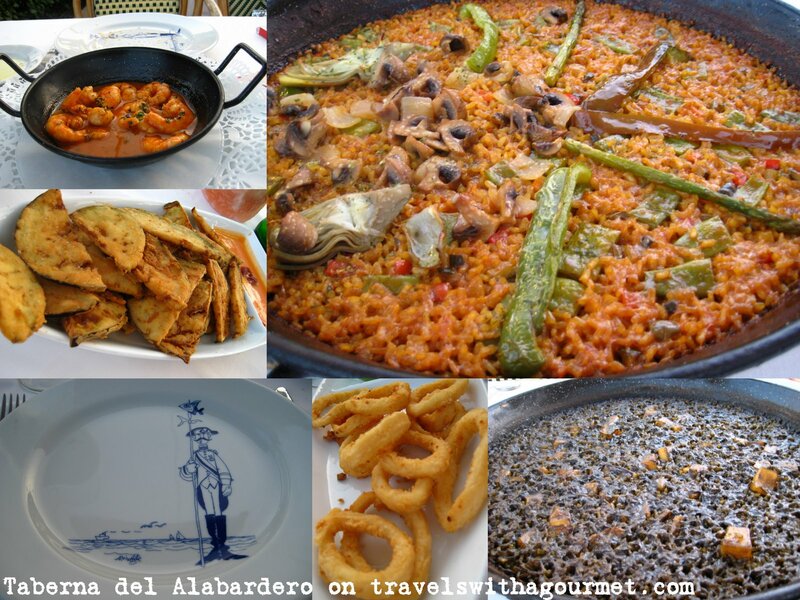 Taberna del Alabardero – on the strip of boardwalk lining San Pedro Beach are a whole row of beach restaurants from the cheap and cheerful El Nini (plastic chairs and not much decor) to this high-end beach club of a Benahavis resort. 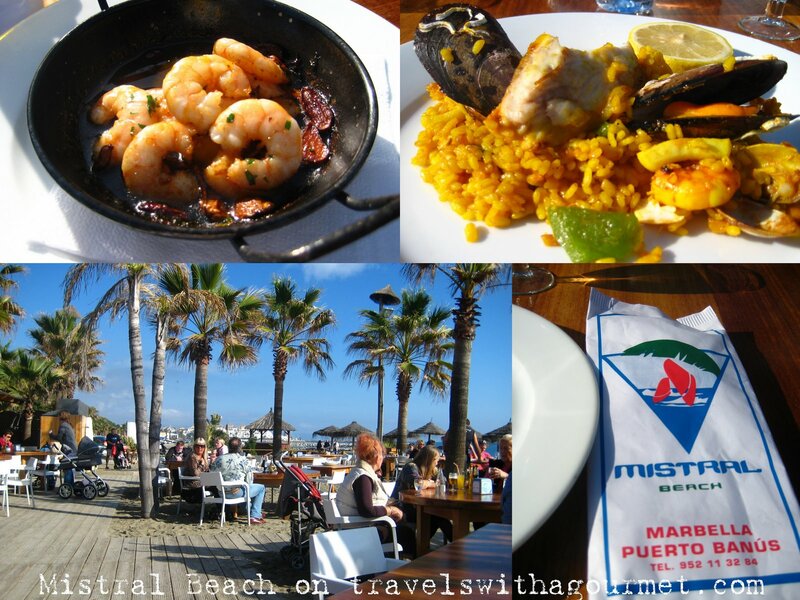 Typical paellas and frituras (fried seafood) with both indoor and outdoor seating. There is a pool (open daily) and a bouncy castle for kids on weekends. El Ancla – On the other end of this same San Pedro beach strip, is this beach club with one of the only salt-water pools in Marbella. 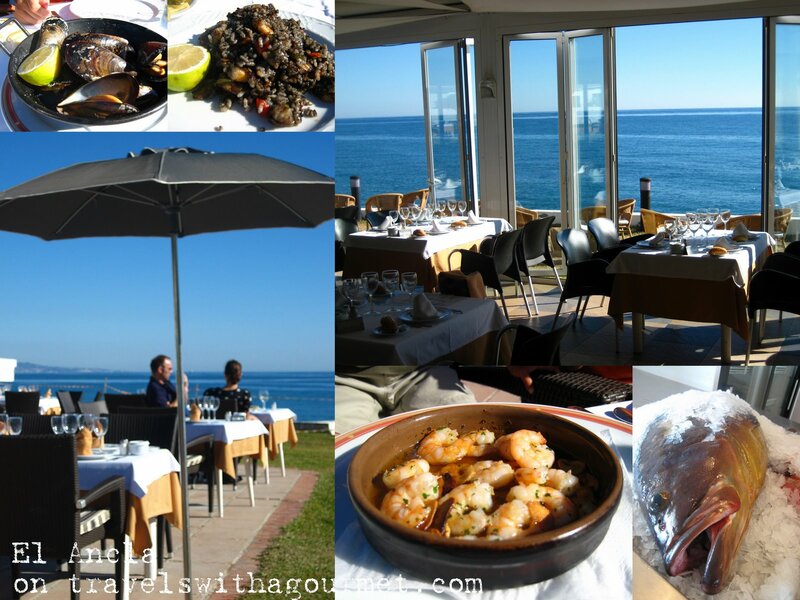 Eat overlooking the Mediterranean and choose from the fresh fish or shellfish on display. Service is extra-friendly. 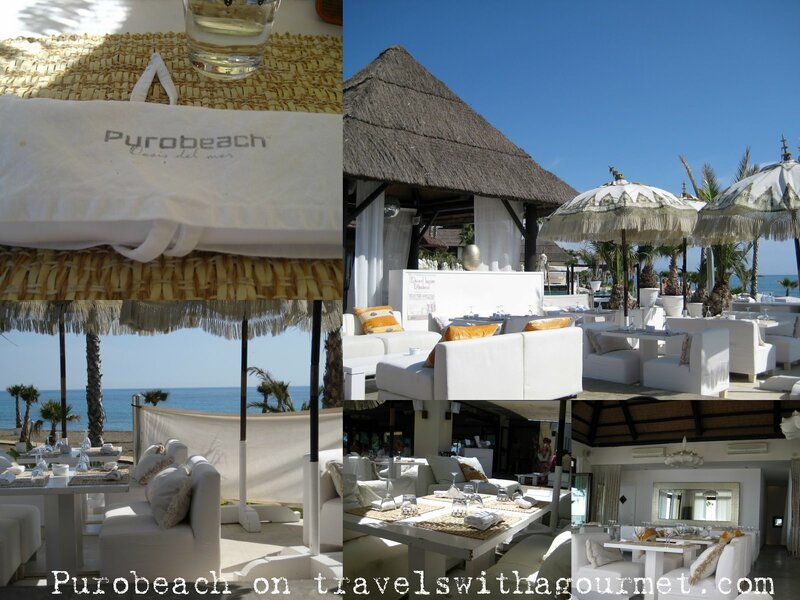 Purobeach – Though not really a chiringuito, Purobeach is part of that other kind of beach restaurant, the CHIC-ringuito. After three years, they may have finally gotten themselves together. The menu has changed and now include more all-day dining choices including a breakfast option. The best part is that it’s open all-year round (unlike the other CHIC-ringuito’s – Nikki Beach and Ocean Club) so even in the middle of winter, you can have an espresso on a sunny day and enjoy the view. Thanks! Hope the chiringuito listing was useful. Nice blog, very informative, will regularly check back!